Which wellness services might you find on your next business trip? The UNIGLOBE experts are here with a few suggestions. As frequent travellers know, it's more difficult to maintain a healthy lifestyle when you’re always on the road. 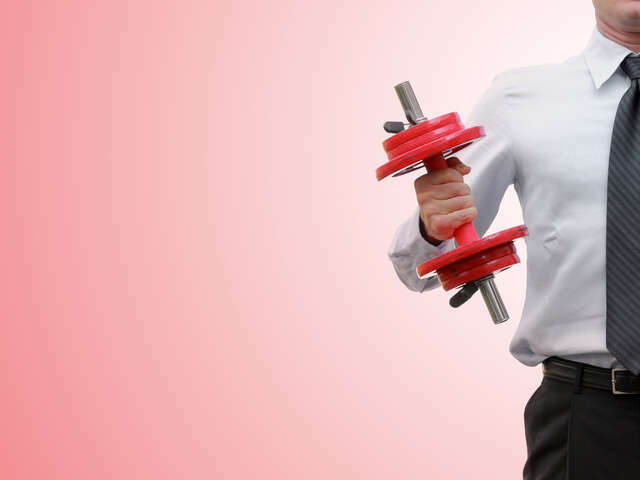 In a recent survey, 41.7% of business travellers said that they exercise less while travelling, 38.7% said that their sleep habits were worse than at home, and 12.6% said that the gym was the most important factor when choosing a hotel. Hotels are paying attention and some are taking steps to help you stay well during your travels. Which wellness services might you find on your next business trip? The UNIGLOBE experts are here with a few suggestions. What kind of Wellness Programs might I find in hotels? There are a few hotel chains—such as Kimpton, Westin, and Trump—who are forerunners in offering wellness programs to their clients. Each program is unique but they all have the common goal of offering healthy choices to their clients. Kimpton offers multiple exercise options such as complimentary bikes, in-room yoga mats, free on-demand yoga and pilates channels and freshly-squeezed juices at all 66+ of their properties. The Westin Well-Being Movement, launched in 2014, is a campaign aimed at infusing six pillars of wellness—sleep well, eat well, move well, feel well, work well and play well—throughout their portfolio of hotels. This includes exercise options—such as fitness studios, New Balance gear lending, and local running maps—as well as healthy dining options at Westin properties worldwide. Trump Hotels offers a Travel Fit program that includes world-class fitness centers, light workout equipment for your in-room use, and their Nourish in-room dining menu. The Sheraton Fitness program includes Color Your Plate, a dining program that encourages diners to add three colors from fruits and vegetables to their plates, to help stay in shape and maintain their energy. Their Fitness program offers four timed workouts that you can download for use when traveling. The Intercontinental Hotels Group has introduced its EVEN brand of hotels—which will compete on price with such select-service brands as Hilton Garden Inn and Courtyard by Marriott. This brand has been created to serve guests who are looking for a hotel that meets their entire lifestyle and wellness needs. Although there are only two of these hotels currently open—in Connecticut and Maryland—there are two more opening in 2015 in New York. The focus on healthy dining at all these hotels includes the use of super-foods, access to freshly-squeezed juices and smoothies, as well as to gluten-free, Paleo, and vegan dishes. Many hotels have found that their fine dining restaurants are no longer popular, as people are looking for more casual dining options. 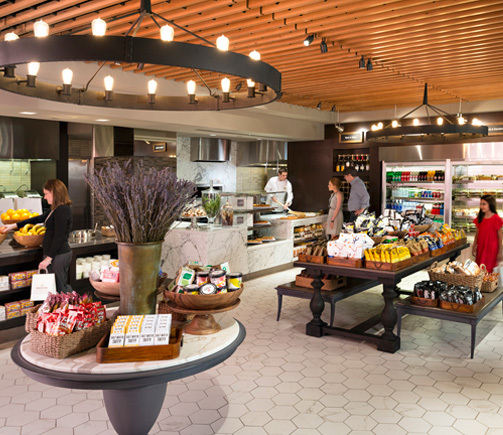 One such hotel, the Hilton NYC Midtown, converted its restaurant to Herb N’ Kitchen, where the kitchen is serving foods such as gluten-free baking, hand-pulled pizza dough, egg-white dishes and plenty of salads. Because of its success, this program will be rolling out to other Hilton properties later this year. Because business travelers come and go at all hours, many hotels, including Hyatt Hotels, are seeing the sense in keeping workout facilities open 24/7, and giving guests key-card access so they can work out whenever it is convenient for them. What innovations might help me sleep better? While hotels can’t force you to get to bed at a reasonable hour, they can—and are—creating environments to promote peaceful sleep. You’ll often find bedding tailored to your personal preference. Four Seasons beds offer a choice of three different mattress toppers, each with a different firmness. The mattress offers optimal support as well as a heat-absorption technology that helps keep you cool at night. In the Stay Well rooms at the MGM Grand, blaring alarm clocks have been replaced by special lamps that simulate a sunrise, soft red nightlights are provided so that you’re not blinded if you have to get up during the night, and if you have trouble falling asleep you can be soothed by a guided meditation from Deepak Chopra. Other hotels offer blackout curtains, soundproofed walls, back-supporting headboards, noise machines and pillows ranging from polyester to goose down. Sleep aids range from noise-blocking earplugs to eyeshades to aromatherapy products meant to induce sleep. Most of these wellness initiatives are found at mid-to-upper scale hotels. Budget and select service hotels generally tend to focus on price and comfort and may not offer the healthy meal choices that some travelers are looking for…although with the advent of EVEN Hotels, that may be changing.